The four of us planned a day trip by train from Tuscany to the picturesque city of Firenze. Pro tip: be sure to get to the train station early enough so you can find a parking spot. Otherwise, you might end up yoloing it by parking in a two hour spot, praying your rental car is still there when you return. We decided to trust the Italian gods and thankfully it wasn't towed by the time we got back. Bless. Walking through the streets of Florence in the middle of summer was extremely (dram) hot but entirely worth it. I'm quite the complainer when I'm hot and despite the fact it was probably definitely just a normal summer day, I still had to remind Austin (every 3 seconds) that I was sweating like the other 789273 visitors in the city. We toured the streets, making a couple pit stops inside local sandwich joints on our mission to capture The Duomo views. We paid 10 euro to enter the Boboli Gardens and managed to snag a few Instagram-worthy photos (see below). Oh, and of course appreciate all that is gorgeous Florence. 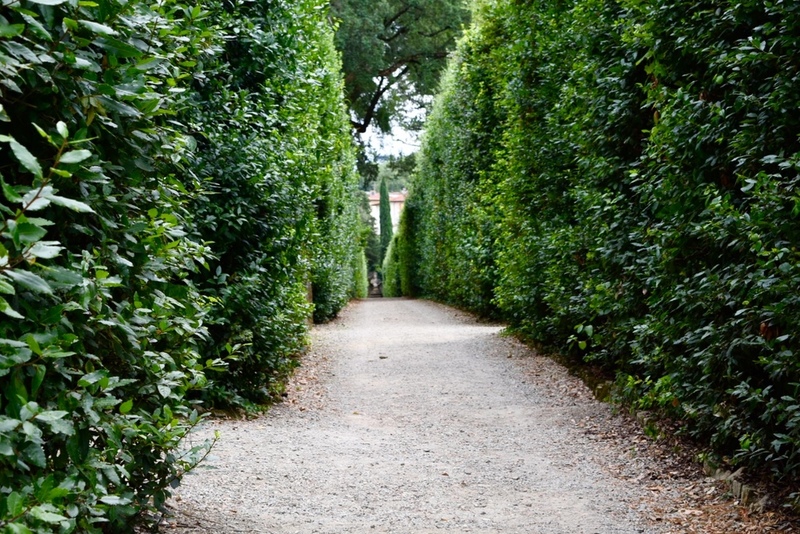 To paint a picture, Boboli Gardens is an old museum-like park, with insanely pretty courtyards, flowers and fountains. 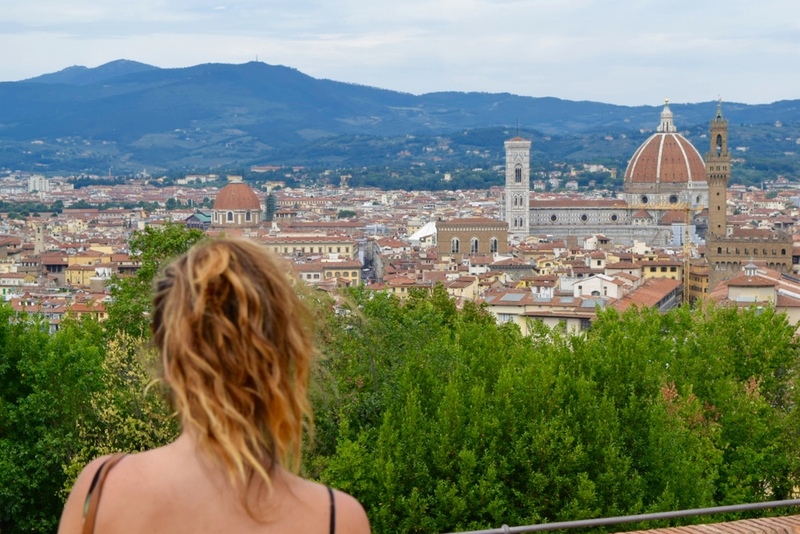 You can walk all the way to the top of the gardens, where you'll find the picture perfect views of the top of Florence. I recommend decent walking shoes for this activity. It was *totally* worth it. Afterwards, we made a pit stop at a restaurant called Pitti (pun not intended) to satisfy our starvation, where we all proceeded to harass the waiter for the wifi password so we could snap our pesto pasta and caprese salad. Priorities, amiright? So yes, I whined about my feet and the heat a lot of the day, but Florence was perfect and I regret not having more time to explore and drink wine. Guess a return trip is in store.